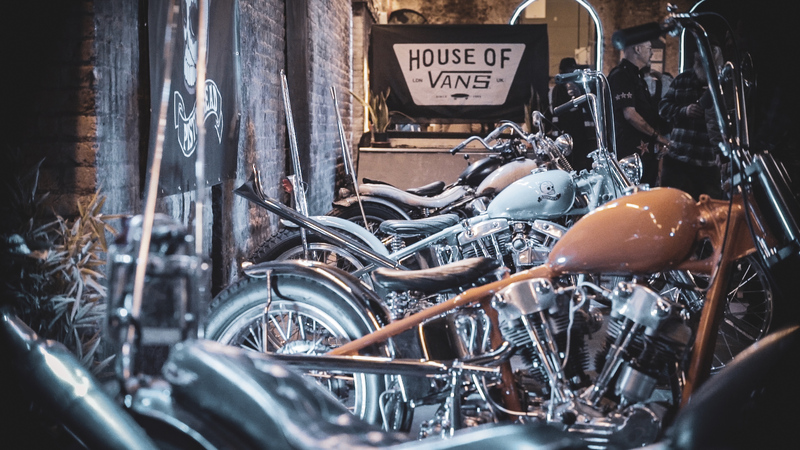 Expert chopper builder Vince Summers has been busy building our classic custom Harley ‘Pistonhead Bike’ for the last few months, and we finally got to reveal it at House of Vans last week! 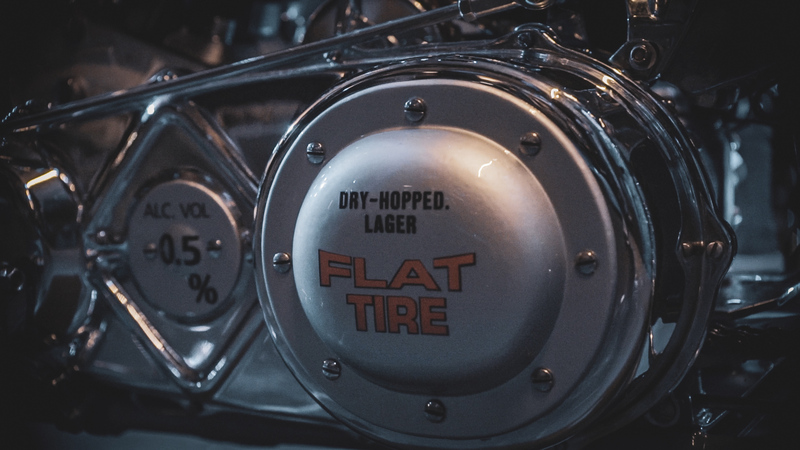 Designed to hero our Flat Tire Non-Alcoholic beer, the bike was inspired by the Bar Hopper style, a lighter, 1960s inner-city chopper, which reflects the light beer. Undoubtedly one of the best in the business, Vince has 18 years’ experience under his belt and this certainly shone through in the EPIC bike he created for us. You can see why we were so excited to launch it at one of London’s coolest venues. 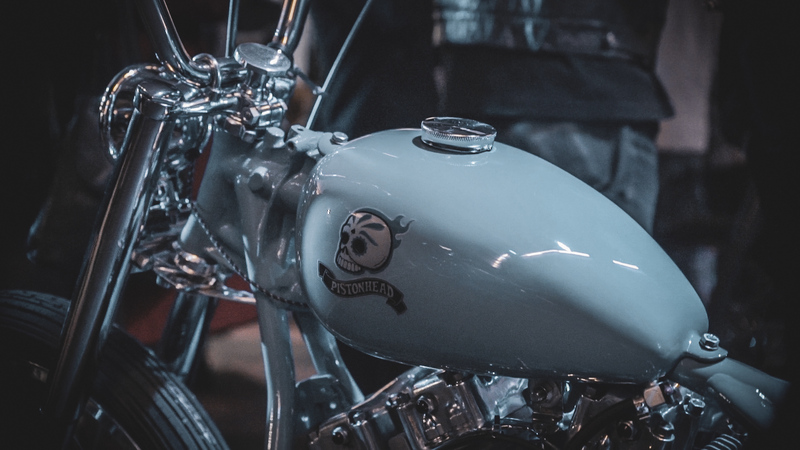 The bike took pride of place at the event, complimented by several other impressive choppers. After setting up, it was time to welcome our guests: non-alcoholic influencers, fashion labels, bike connoisseurs, rock ‘n’ rollers and other Londoners looking for a fun night out! 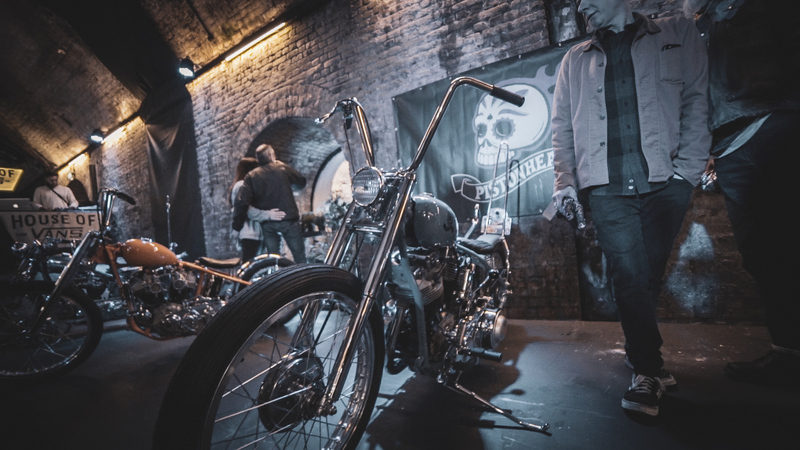 The night started with a free ice-cold Pistonhead Kustom Lager or Flat Tire Non-Alcoholic at the door to enjoy while looking at the photography, art, stalls and of course the incredible array of motorbikes. 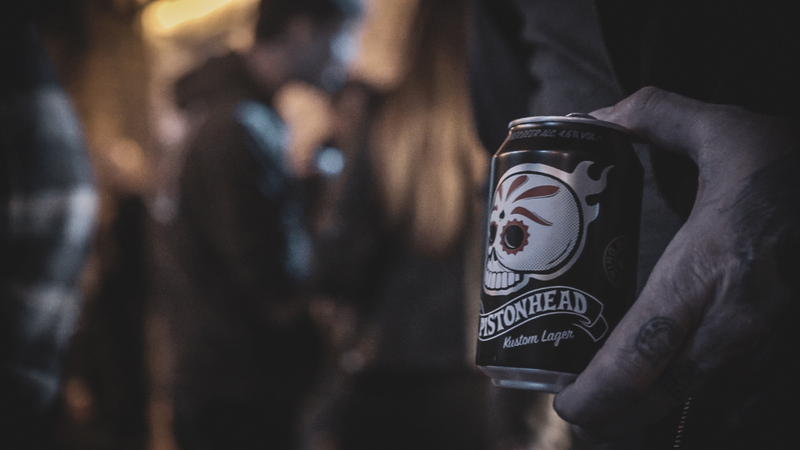 Market stalls were hosted from the likes of Bonzorro, Slab City, Lucky Luke’s, Krazy Horse, I Cleenz Macheenz, Baron’s Speed Shop and the bar was stocked with Pistonhead Lager. 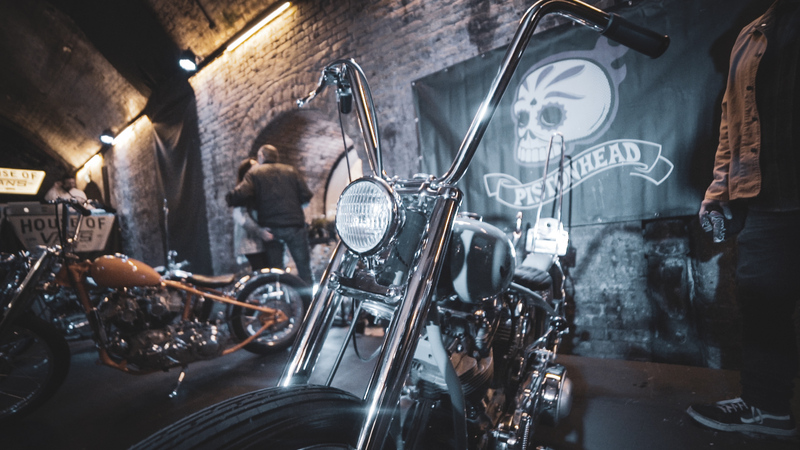 Keep an eye out for where our Pistonhead Bike will be heading next.